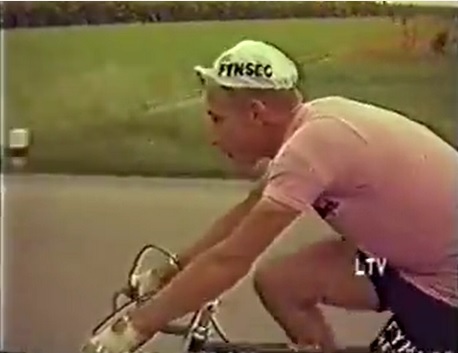 In 1960, Shay Elliott became the first English-speaking cyclist to win a stage of the Giro d’Italia when he took victory on the 18th stage of the race from Trieste to Belluno, and below is some footage from that stage. Going into the stage, Elliott’s Fynsec-Helyett team-mate Jacques Anquetil held a comfortable 3 minute lead over Gastone Nencini and seemed likely to go and win the race overall and in doing so become the first Frenchman to win the Italian race. Prior to the start of the Giro, Elliott had been identified by directeur sportif Mickey Wiegant as being one of the key men to help Anquetil in his bid for victory but if the opportunity arose to go for a stage win, then he should take his chances. 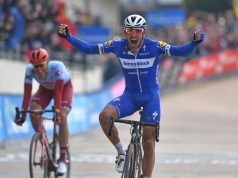 It was the eighteenth stage of the race before he had his first real opportunity for a win, and it also happened to be the longest stage of the race at 240 kilometres and included the 1298m Passo della Mauria. A break went clear early on which included amonsgt others the talented Italian Graziano Battistini and Elliott. 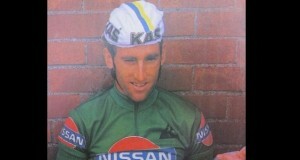 Battistini had finished 7th overall in the previous year’s Giro and later that summer, he would go on to finish in 2nd place in the Tour de France later behind compatriot Gastone Nencini, in addition to winning two stages. 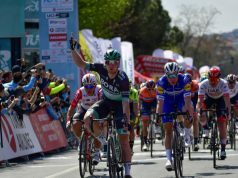 Coming into the final kilometres, Battistini attacked and looked good to take the win. Unfortunately for the Italian, he fell on a corner and was overtaken by Elliott, who held on to win by 38 seconds. 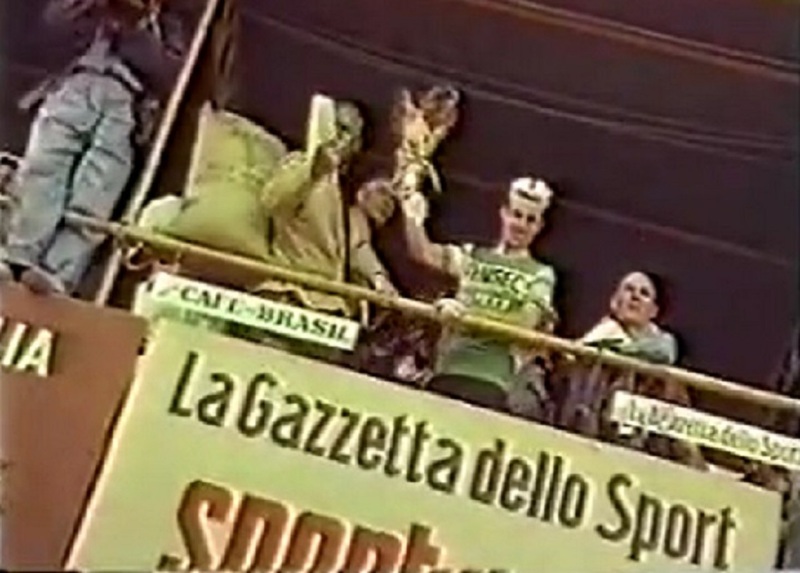 Anquetil did enough to hang on to win the race overall in Milan, despite a late challenge from Gastone Nencini. 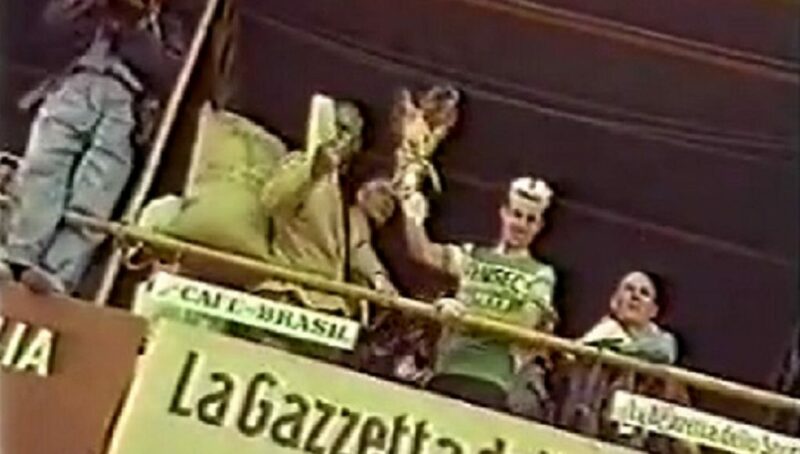 Nencini attacked on the penultimate stage which included Passo Gavia, and with the help of pushes from spectators closed the gap on GC to within 28″ of Anquetil, but the Frenchman did just enough to hold on to pink. 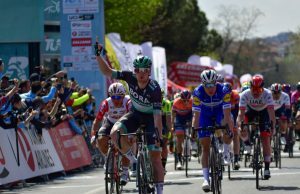 Previous articleSam Bennett takes first ever Grand Tour stage win on stage 7 of the Giro d’Italia.